There is a great deal of difference between natural and synthetic wicker furniture. It is important to completely understand these differences, before buying outdoor furniture for your homes. Here are some of the difference from Wicker Paradise. Natural wicker is made from plant materials. Natural materials were used long ago during the times of Ancient Egypt to make wicker baskets. However, natural wicker is susceptible to rain, sleet, snow, moisture, and other forms of harsh weather. Natural wicker is ideal for indoor use, but it’s not suitable for the outdoors. 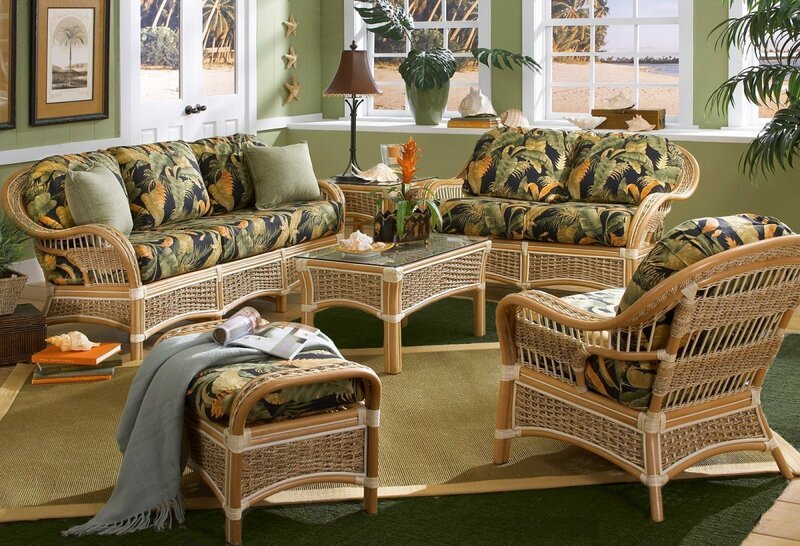 In such cases, resin wicker is used to make outdoor wicker furniture. Natural wicker will become dry and brittle over time. It will crack and cause the weave to unravel over time. Natural wicker can be subject to damage caused by insects and small pests. Synthetic resin wicker is made from resins that are extracted from plant matter. These liquids are capable of hardening permanently. There are several types of resin wickers ranging from cheap plastics to HDPE. Resin wicker is used to manufacture great quality furniture. Resin wicker is typically built on aluminum frames, which makes them very lightweight. HDPE is the best type of resin used to manufacture synthetic furniture. It is staining resistant, has a matt finish and neither fades in sunlight nor breaks, chips or cracks. Synthetic wicker is much more durable and quite easy to wash. Moreover, resin wicker is less expensive than natural wicker. All these differences clearly show that synthetic furniture is a far better option to consider when buying wicker furniture for your home.